A diet that is rich in whole, plant-based foods can help you lose weight and give you more energy. It's easy to start eating vegan. Get the book and start today! It's Easy to Start Eating Vegan! YUMMY PLANTS 101 is a beginner's guide to help you start eating vegan today. 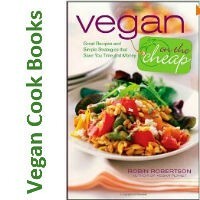 The book offers practical tips including easy egg and dairy substitutions, ideas to stock your vegan pantry, plant-based protein sources, tips for navigating social situations, sample meal plans, and tasty, easy-to-make basic recipes. Yummy Plants is a community to help people discover and enjoy a plant-based lifestyle. I'm Eating a Plant-based Diet - How Can I Get Enough Protein?